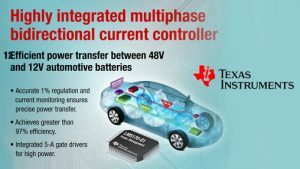 Texas Instruments introduced the industry’s first fully integrated multiphase bidirectional DC/DC current controller, which efficiently transfers electric power greater than 500 W per phase between dual 48-V and 12-V automotive battery systems. 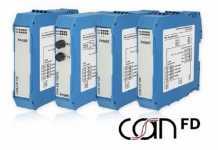 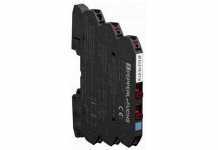 The highly integrated LM5170-Q1 analog controller features an innovative average current-mode control method that overcomes the challenges of today’s high-component-count, full digital control schemes. For more information, samples and an evaluation module, see www.ti.com/lm5170q1-pr.